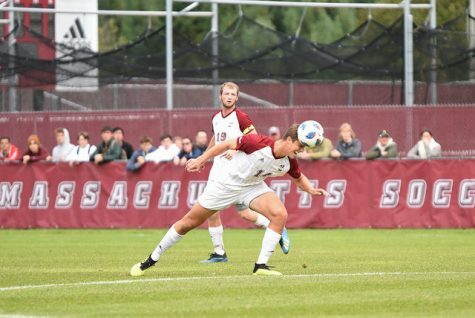 Heading into the final two games of the regular season, the one thing the Massachusetts women’s soccer team could not do if it expected to play in the postseason was lose one match. 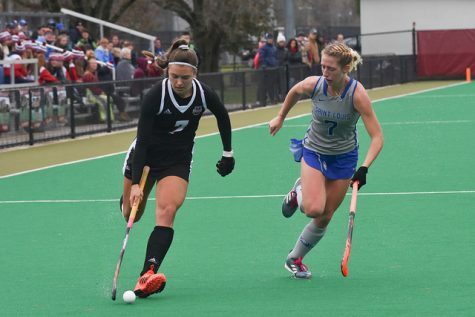 But that is exactly what UMass (6-7-4, 3-4-2 Atlantic 10) did Thursday night as the Minutewomen dropped a key conference game to Saint Josephs (12-6, 6-3 A-10) in a 2-0 loss. 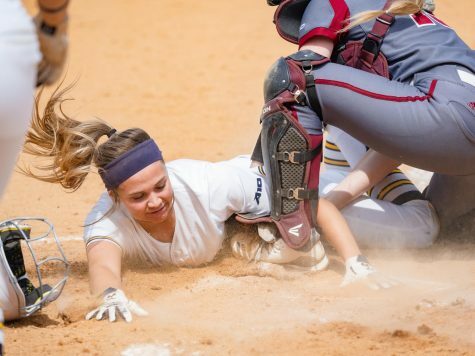 The Minutewomen came into the game in the ninth position in the A-10 and needed at least a win and some help in the last two games to have any chance of being one of the eight teams to qualify for the conference tournament. 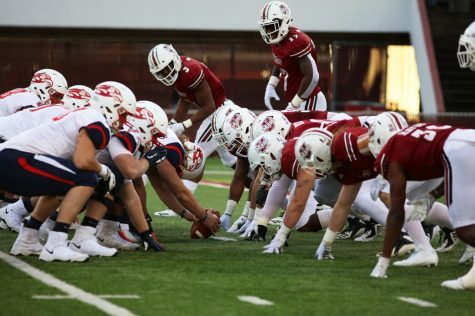 Thursday’s game was a defensive battle for the first 30 minutes of the first half, as UMass and Saint Josephs came into the game known for their defensive play. The Minutewomen had the third best goals against average in the conference, while the Hawks were sixth in that statistic. 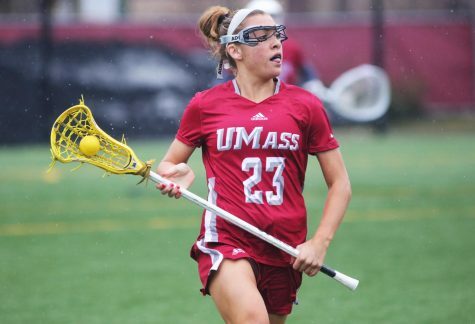 The first goal of the game came in the 32nd minute when freshman forward Hannah Racis tipped a shot in midair from five yards out to put it past UMass goalkeeper Cassidy Babin. The Hawks added an insurance goal in the 49th minute off a penalty kick by junior midfielder Emily Gingrich. 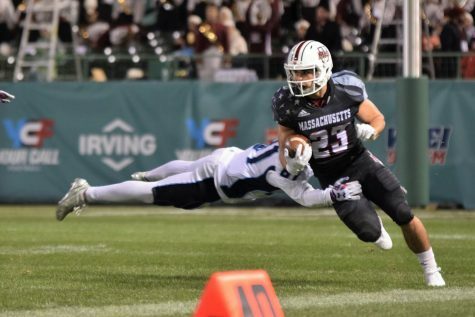 Saint Josephs’ win was its fifth in a row. 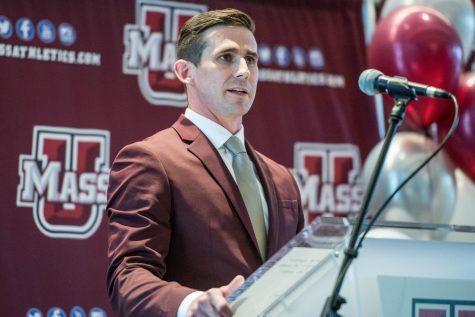 UMass coach Ed Matz believed the game came down to who made the most of their opportunities. The Minutewomen actually outshot the Hawks in the game with a 12-to-11 advantage, but lost the shots on goal battle 8-to-4. Matz stressed that his team’s struggles in the box were what cost the team Thursday. Of the eight shots on goal the Hawks had in the game, Gingrich and freshman Dakota Mills combined for six of those shots. 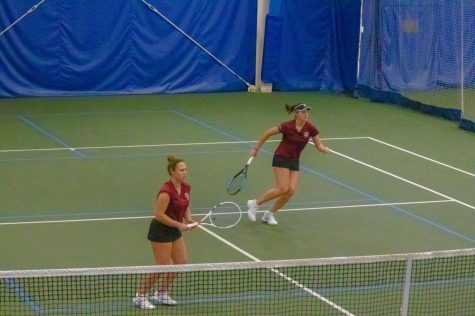 Throughout the season, the Saint Josephs pair has been the focal point of the Hawks’ offense. With her goal Thursday, Gingrich reached 10 for the season, while Mills has seven. Despite the shot totals that the two put up, Matz was happy with how the team contained Gingrich, in particular, citing the defense’s abilities to limit her dangerous shot opportunities. 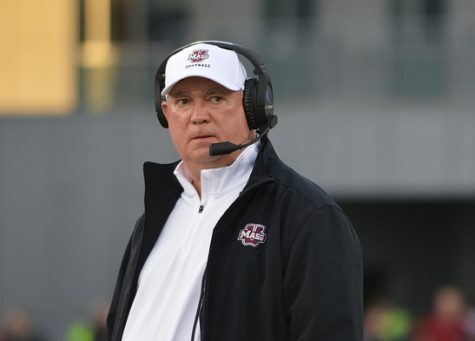 The loss for UMass drops its road record to 0-6-2. The Minutewomen will return to the friendly confines of Rudd Field for Sunday’s regular season finale against Dayton (9-9, 7-2 A-10). It will be UMass’ senior day and the five seniors on the team will be honored before the game. UMass has been strong at home going 6-1-1 in Amherst this season. Matz believes the home-cooking will be a big boost for the team Sunday. The Flyers have been hot as of late, winning four straight after beating Duquesne Thursday night. Dayton is third in the conference and is coming off last season when it won the A-10 tournament. 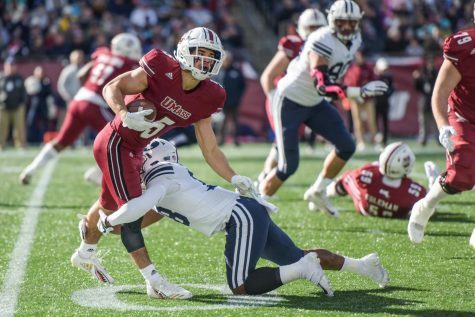 With the Minutewomen winless in the last three games and their season on the line against one of the best teams in the conference, the odds are stacked up against UMass. Despite the large odds, Matz is confident his team will be ready to go Sunday. “The season’s on the line, it’s senior day and we are at home; if they can’t get up for that game, they don’t have a pulse,” he said. Sunday’s game starts at 1 p.m. at Rudd Field.